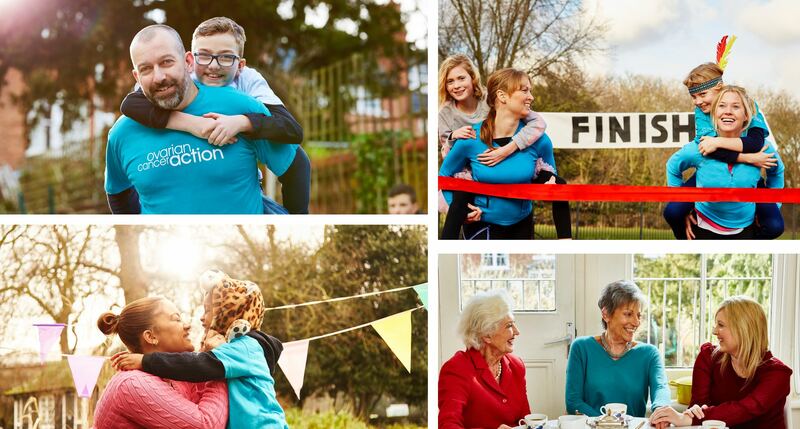 Ovarian Cancer Action is a UK charity dedicated to beating the sixth most common cancer in women. 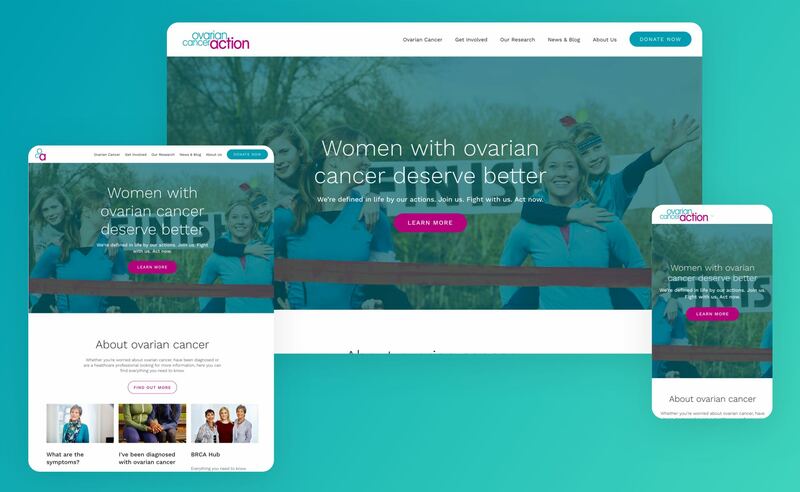 Ovarian Cancer Action had a website that had served them well for three years, but an out dated CMS, a disconnected styleguide and lack of hierachy in the architecture meant they were firefighting content and getting lost with where information was saved in the site. 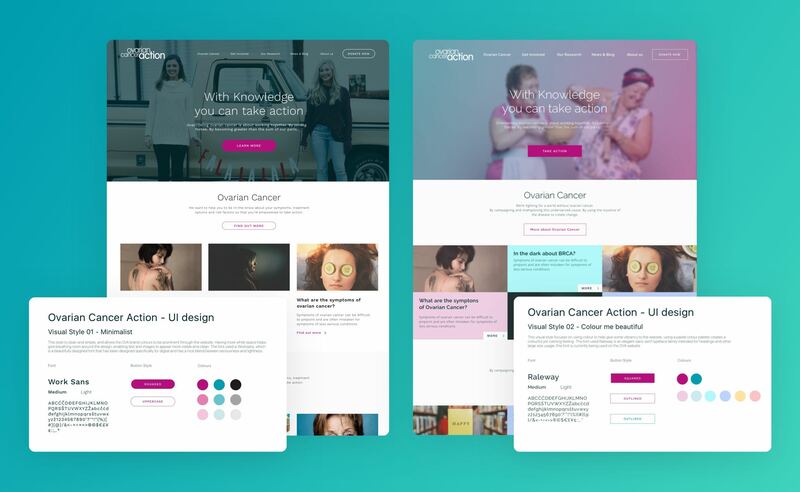 We had a tight budget and an even tighter deadline, as they wanted to launch the website in time for Ovarian Cancer awareness month. The proposed design timeline was 15 days, which I managed to keep inside. The most important part was to create a beautiful and useable website that the OCA team would find easy to use and update, whilst also being encouraged to share with the users and future users. They wanted to launch the website We worked with the digital, funding, and comms teams to create a website that worked harder for the organisation. 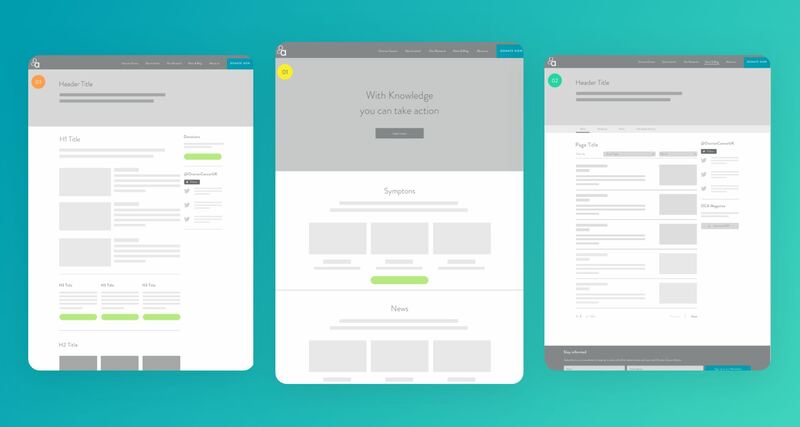 The taxonomy and navigation was improved, landing pages and the content hierarchy were redesigned – with one eye on a flexible system that would allow for campaigns to be regularly surfaced and promoted – and we implemented a Wagtail CMS that could be used by pretty much anyone within the organisation. We worked closely with the OCA team to create a website that worked harder for the organisation. I started with designing a sitemap to create a new hierarchy and flow of the site, through this the navigation was vastly improved. 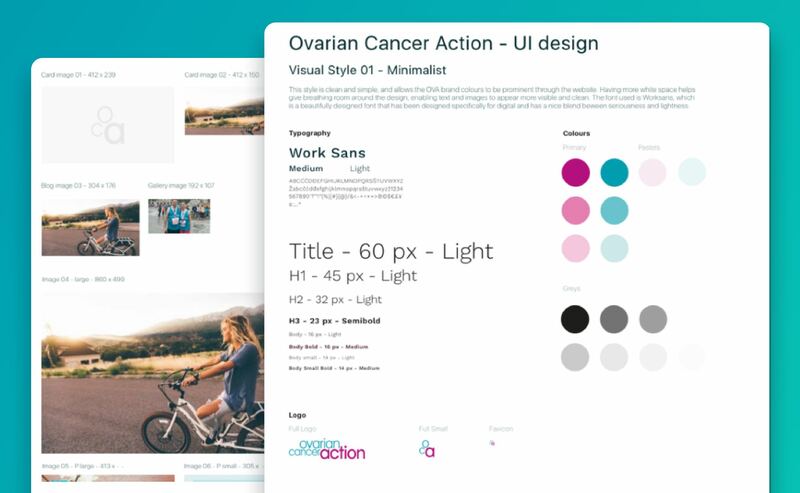 From a design and development perspective, I created a template system and figured out areas where we could reuse elements to help keep within time and budget, this also enabled me to focus on smaller areas of UI design. 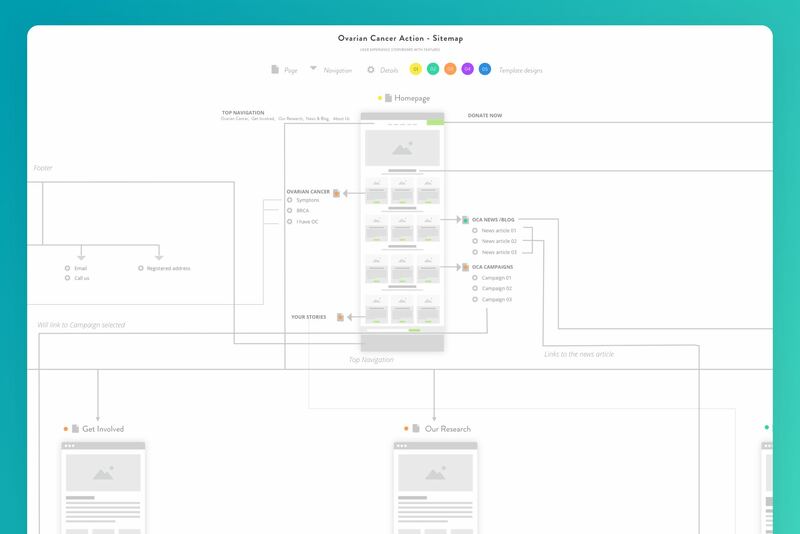 Clickable wireframes of the functionality of the website and the type of content they would need to add. We took the client through a few sessions to help understand if the flow and content amount was appropriate for them to use on the website. Following the brand colours I created two design routes for them to view. Knowing that we were commissioning photography specifically for the new site, it was important o create a new site that helped put imagery at the forfront. The chosen style route they went for was the Minimalist approach. This particularly worked well with helping their brand colours to pop, as i the previous site they started getting a little dull, as the colours were overused and often mismatched with other colours and images. I also wanted to create a universal image system, where they were able to create images themselves and they would fit correctly with the layout of the website, rather than having small images stretched, or portrait images that pushed content further down the page. Along with the talented photographer Sarah Cresswell, we devised a series of images that could be used with the website, as well as possible future content. The models we used were actual people who had either been through Ovarian Cancer themselves or had a loved one who had been affected. It was really great to hear their stories and we wanted to show their emotion and support through the images. Everyone we spoke to spoke of their love for the OCA charity, and they felt it important that the OCA charity should reach more people like themselves. The launch date was the end of February and we started work in January. With lots cooporation from the client they were able to feedback and follow our styles and CMS to launch a site that was filled with all the correct content. It has been a year since the site has launched, and the framework that we set up initially is still being followed. What is great to see is the fact that they are adding fresh content all the time and the site is still keeping to the original design that we created. And the pgae load score is always scoring a high score of 90 and above on GTmetrix. I was really taken by how great the charity was, that I wanted to help them more than just through website design. 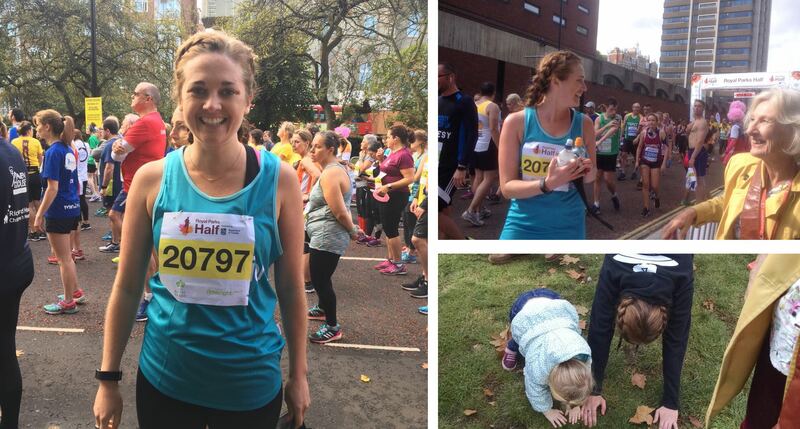 So I decided to run for them on the Royal Half Parks run. 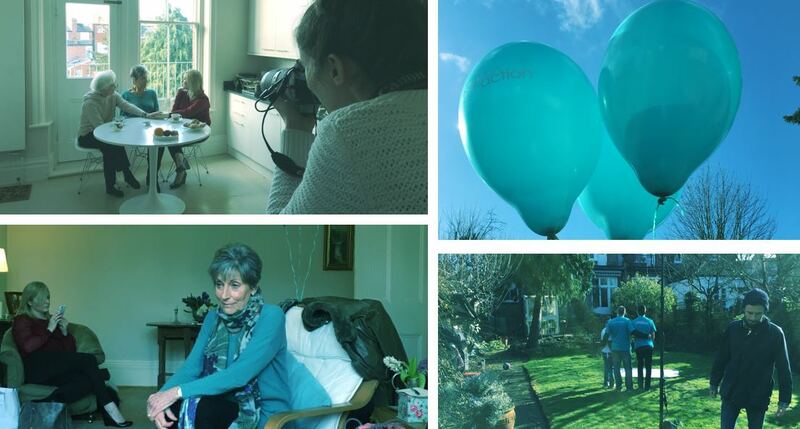 I raised over £700 for them and it felt good to be able to help them carry on their great work with women and families affected by Ovarian Cancer.